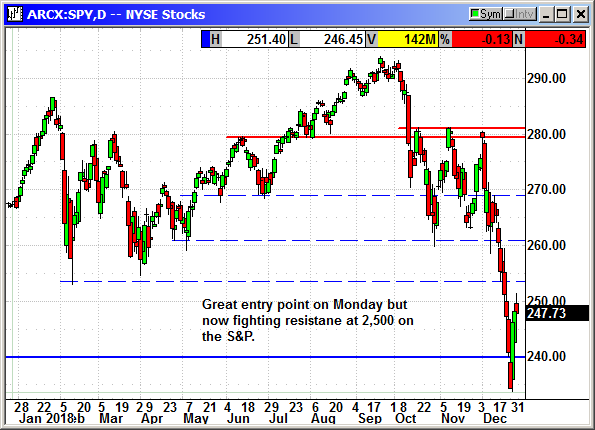 After the best three-day gain in 7 years, the markets pulled back from the early highs. The afternoon weakness could have been the product of multiple factors. Traders were taking profits on the big market move. 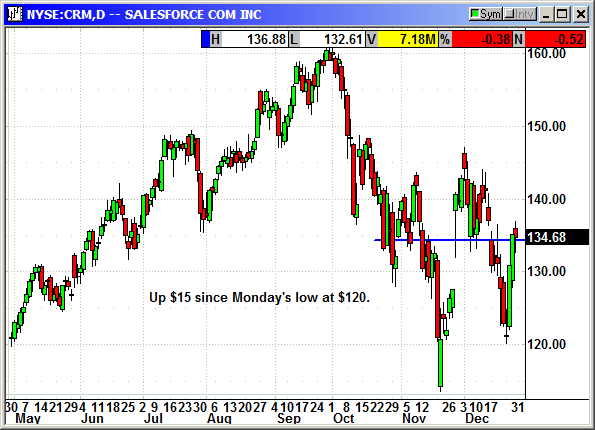 There was likely some fear of weekend event risk given the big drop last Monday. Buyers could be waiting to see if there will be a new round of tax selling post-New Years when a new tax year arrives. Lastly, it was a Friday before another 4-day weekend. Nearly every office employee in America probably took the day off or left early. Standpoint research upgraded CAT from sell to buy, a double upgrade. 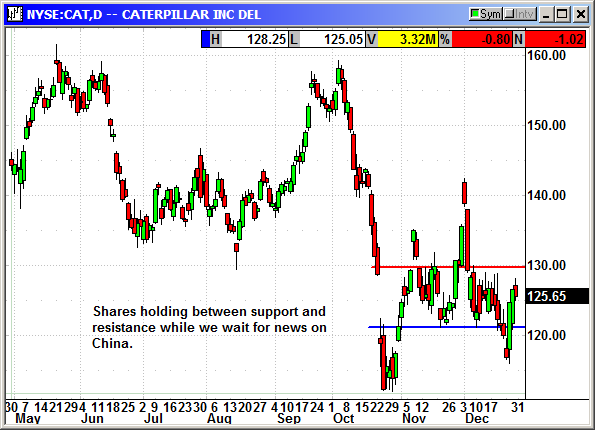 Shares are holding midway between support and resistance while we wait for news on China. No specific news. Up $15 since Monday's low. No specific news. 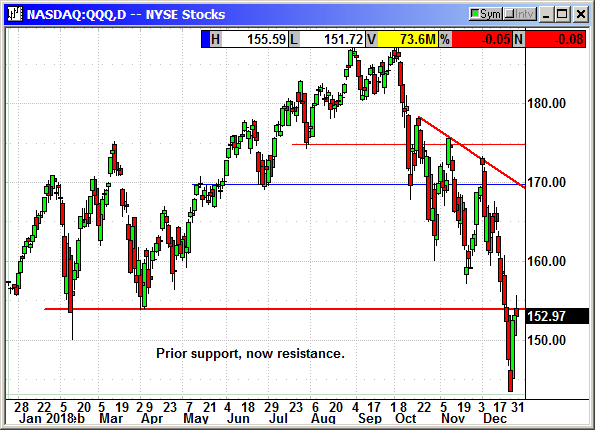 The QQQ is now fighting prior support at $153, which is now resistance. 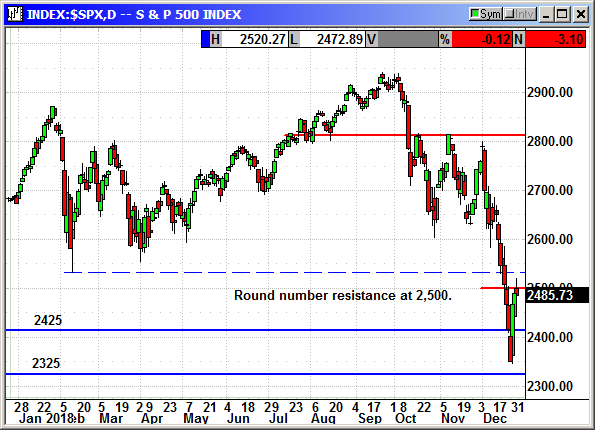 The SPY is now fighting resistance at 2,500 on the S&P.